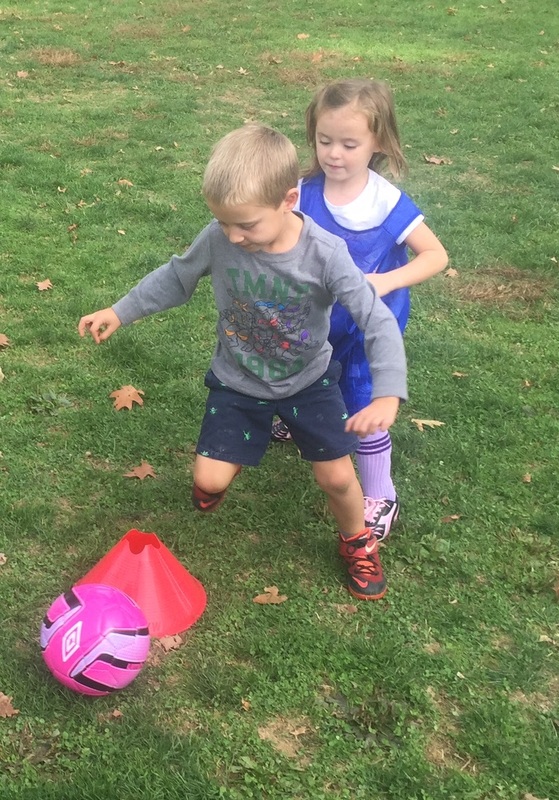 Our Juniors Soccer Program (ages 3-5**) is all about building confidence and having fun with the soccer ball. 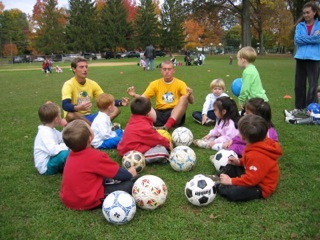 Players participate in games that enhance coordination and introduce the basic principles of ball control, passing, and shooting. 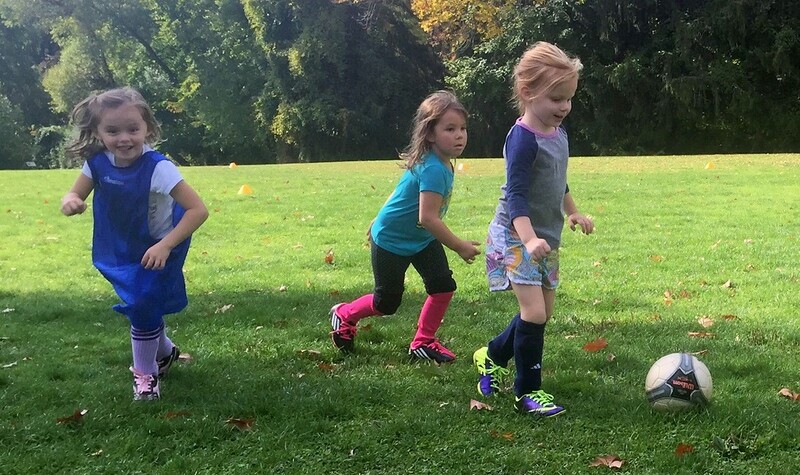 Developed and refined over the last decade, our tested curriculum follows the basic, developmentally appropriate learning points for this age as recommended by soccer's governing bodies - all through exciting games that keep players engaged and coming back for more. Get ready for wizard tag, bank robbers, space robots, bumper cars, secret password and many more fun-filled activities! *NOTE: Due to unexpected renovations at the Radnor Activity Center, Winter Session 1 has been canceled.